No doubt sometime during your tenure as a business owner or manager, you’ve slipped into the local coffee shop to fuel up on your preferred caffeinated brew. And if you have, then you’ve probably used punch cards that say something like, “Buy ten, get one free,” or, “Your eleventh coffee is on us.” These punch cards are perhaps the most basic form of a customer loyalty program. We’re using coffee as an example, but this really applies to any business. 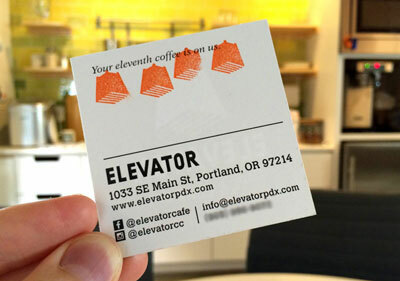 Let’s break this down – punch cards accomplish two things: 1) they incentivize the customer to buy at least nine more coffees, and 2) now the customer is carrying a pocket-sized advertisement in their wallet or purse. How does this relate to your business? Well, the accrual system doesn’t have to be based around coffee. For salons, it could be haircuts. For car garages, it could be oil changes. For instructors, it could be lessons. Competitive Advantage – According to a 2013 study, only 34% of small businesses offer a rewards program. Having an effective rewards program in place will help your business grow its base of loyal customers at a faster rate, versus a competitor who doesn’t offer rewards. Repeat customers spend 67% more than new ones, but only 34% of businesses have a loyalty program. Defining Your Brand – Consider a business that, after ten appointments, offers to make a charitable donation in the customer’s name. This helps define the business as one possessing social conscience. Customers can feel good about spending their money, and that’s a pretty compelling reason to keep coming back. Finding the motivation to start a rewards program is the easy part. Now we’ll talk about the how-to. Step 1 – What do your want your customers to do? Step 2 – How will you track accrual? The next challenge is figuring out how you’ll track completion of the action. In other words, what will your version of the punch card be? Many businesses use a points system for the reason that it allows you to control the effort a customer needs to expend before earning the reward. For example, if you wanted to double the effort it takes to earn a $20 gift card, you can increase its point value from 200 points to 400 points, and the card will still be worth $20. Step 3 – How will you set up the framework? Physical tokens are useful because they make the customer do the work of tracking their rewards; they’re carrying their cards around with them and presenting them at checkout. Believe it or not, punch cards can actually work here. Just make each stamp or punch worth a specific point value. So, for example, one punch could equal 100 points, and this way you can mark a 200 or 400 point reward on the card with 2 or 4 punches. Reward apps may be costly, but they give you extra data about your customers’ spending habits. Specialized software allows you to monitor customer interactions and measure purchases over time, so you’ll know who your highest spenders are. Many of these programs require customers to download a sister app to engage with the rewards process. There are some pitfalls here, namely higher complexity and monthly fees, so proceed with caution. I’ll leave it up to you if you want to investigate further; here’s some names that kept cropping up during my research: Belly, FiveStars, and Perkville. Step 4 – What reward will you offer? The reward is entirely up to you, but I would offer this advice: discounts are too obvious and too easy. Instead, try to think of a reward that ushers the customer back into the purchase cycle. 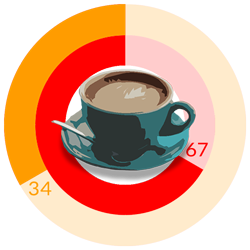 Take for example the “your eleventh coffee is on us” punch card at the beginning of this post. Now this is great if your goal is to encourage repeat visits, but what if you want the customer to spend more money each time they come back? A better reward might be a free croissant. 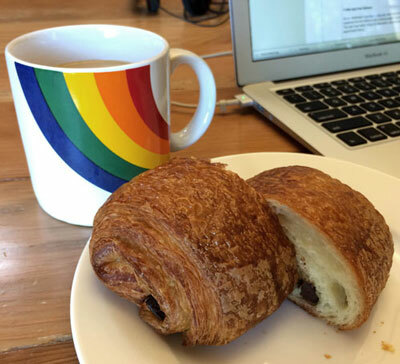 Offer the croissant and they’ll buy a cup of coffee to go with it. Arguably the same monetary value, but now the customer knows just how yummy and flakey croissants are. What are the odds they’ll want one the next time they visit? In some cases you may be able to double future transaction value simply by giving customers a taste of your other services. As we mentioned in last week’s blog post (see Hack #3), you can customize the form fields on your booking page to accept a coupon code. The next most helpful thing is to download a spreadsheet with your appointment history. To get started, navigate to Settings > Account > Export Schedule. Click the Appointment from date field to specify the start of your date range. Click on Appointment to date to specify the end of the range. Click Submit to generate the data. Click Export as Excel at the bottom of the form to download a .XLS file of the data. This will get you a spreadsheet of all appointment data, including revenue and coupon codes, for the specified date range. You’ll have to do some spreadsheet judo as you dig into the data, but the “Sort by Column” function will deliver immediate insights. Pay special attention to customers whose names come up most frequently, and whose total revenue is the highest, as well as whether or not customers are using your coupon code. You’re not just rewarding “good behavior” on the customer’s part. A rewards program is all about offering a different, more exclusive, and higher-quality experience to your best customers. After all, your best customers are going to be the ones that hold onto that punch card and fill it up with stamps. The ultimate goal of any rewards program is to multiply these customers, and get them ready for the next phase of the customer journey – turning them into evangelists. But that’s a blog post for another time. 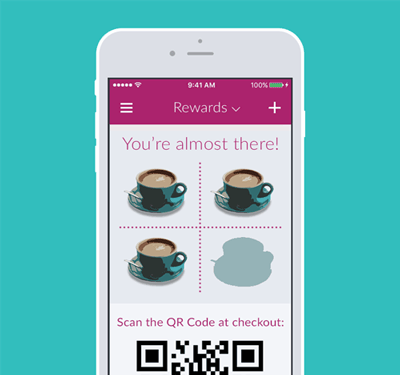 Are you one of the 34% of businesses that has a loyalty program in place? Let us know how it’s working – or how it isn’t – in a comment below! Hi Cassandra. Thanks for Setmore and all the tips. Can I suggest a little change to the loyalty card. Instead of having the card printed to have buy 10 get one free, print it as buy 12 and get one free, then give the customer a couple of free card punches as well as the one they have just earned when they first get their card. The benefit is that to the customer their card immediately appears to be 25% full instead of a lonely 10%. They feel good about you because you have given them something for nothing. One more coffee and they are now have a third of the card filled. Their investment in your coffee shop appears greater and they think they have more to lose by going elsewhere. The customer is buying the same number of coffees to get the free one but the illusion is that they are getting a better deal. Hi Denis, thank you for sharing these very insightful points! I agree that one of the biggest factors in designing a rewards program is to make the customer feel like they’re missing out if they go somewhere else. Pre-punching the cards with a few punches is also a really clever idea – I can see how that would make a customer feel invested in the process from the get-go. I have a loyalty card option that I write down 5% of their first 10 visits (I do massage) and the total of those is used as a credit towards #11. It encourages them to book my more expensive services for those 10, because the 5% is a bigger amount…but it still isn’t too painful for me when they redeem it because they typically won’t “waste” the 11th service by trying to get a free, shorter session. They get a more expensive and lengthy massage for about half price! And we’re both happy. The client loooooves seeing that card fill up towards the finish line with each appointment, and they just about always pre book. This one is ideal for some clients, but I also have a membership for the ones that come on a very regular/frequent basis. They pay an annual fee of $60, and are “enrolled” in the membership to get a full year of 10% off all services and products. I use the word “enroll” loosely because it’s no contract or monthly debits, just the one time fee and they get a cute little membership card (that I made on my computer) with their name and expiration date on it. I keep the information in my own records, though, so they don’t really have to have it. The discount is also good on other deals that I run occasionally such as holiday packages, last minute booking deals, etc…so it allows them to double-dip and get a bigger discount on those than non-members. And that little perk also encourages them to book an extra massage in between their regular monthly standing ones. Erin, I LOVE the idea of a membership card. In my experience, when customers see that something is exclusive, it increases the perceived value of that something. I’m curious about if you advertise the membership publicly or if it’s something you keep secret. Punchcards are so simple and yet so versatile, it’s wonderful to read all these different ways that people are using them. Thanks for sharing! Great idea Cassandra, lots of thanks. I will keep you posted on how it worked at nail care center. Will be great my clients get one shellac nail service for free after the fifth visit. Why not add a basic loyalty program to Setmore? Ex: For each $10 spent get one 1 point. Hi Laurent, it’s something we’ve considered but it’s not a high priority right now.